YOYOTech, London’s premier PC component retailer for enthusiasts, is offering bit-tech readers the chance to get five percent off all purchases (excluding CPUs) made this Saturday at its Central London store. At the same time, you will be able to see Foxconn’s newest Quantum Force products for the first time from 12:00 noon onwards – you’ll be able to get hands-on with the Black Ops, Dreadnought and Destroyer motherboards. In addition to the five percent discount and the chance to get hands on with Foxconn’s newest and most exciting products, we are told that there will be competitions going on throughout the day. Every hour there will be a "Yoyotech Silicon Challenge" - the winner of which will have a small prize and their name entered into the overall prize draw twice, increasing their chances of winning the grand prize. What is the YOYOTECH SILICON CHALLENGE ? Simple, a quick series of head-2-head heats where each entrant must hold a bucket of sand out in front of them and the person who can hold it the longest – wins. These will include the chance to walk away on the day with an entire system (specifications haven’t been detailed), as well as the chance to enter a draw to win a system built with a Foxconn Black Ops motherboard and Sapphire HD 3870 Toxic graphics card. The store is located just off Tottenham Court Road at 30 Windmill Street, London, W1T 2JL (nearest Tube stations are Goodge Street and Tottenham Court Road) – please head on over to YOYOTech’s website for more information. 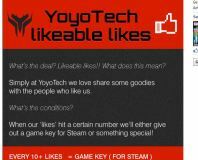 If any of you do head down to take YOYOTech up on this offer, please don’t hesitate to post some pictures from the event in the forums. 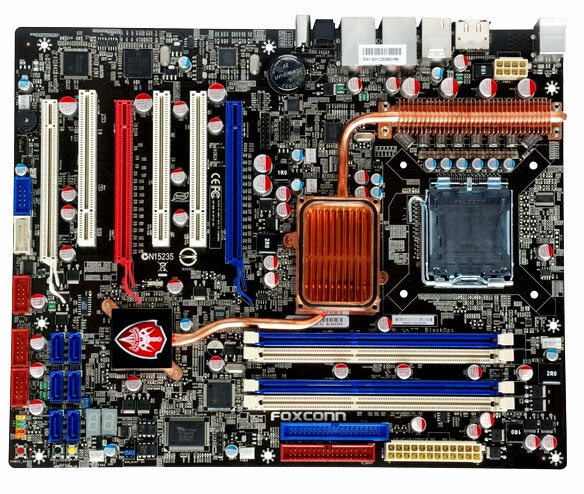 COMPUTEX 08: Foxconn has reimagined it's digital home boards and is also working with AMD on something new. CeBIT 2008: Foxconn is pushing its Quantum Force range in a big way here at CeBIT - check out the Ultra ATX cases!